Missy was born in 1997 with a desire to create a brand that is sought after and fashionable at the same time. Growing constantly for the last 20 years, this desire has become a concrete reality. Having started as a little brand in Germany, today our story has become an international reality. Today, various original and unique collections are being created by our design department, where the design and production are completely carried out by our international experts who are inspired by the very recent fashion world. This creation is presented as “Missy” to our customers all over the world. Our firm, following the ultimate developments in printing and production technologies, creates its own work without limit. 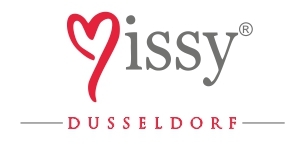 All this has achieved Missy its reputation today in Europe, leading to the opening of its wholesale store in Paris. Now Missy covers all of the markets in Europe. Our main goal in the near future is to spread the Missy brand throughout America and other World markets. Missy today is preferred by thousands of women who want to feel themselves contemporary, comfortable, up-to-date and stylish at any time of the day.